New technology aims to reduce the number of deaths caused by side and rear underride accidents. Collision Safety Consulting’s TrailerGuard system and SafetySkirt. Photo courtesy of Aaron Kiefer. According to the Insurance Institute for Highway Safety (IIHS), 3,986 people died in large truck crashes in the U.S. in 2016. A mere 17 percent of the victims were truck occupants, while 66 percent were occupants of cars or other passenger vehicles and 16 percent were pedestrians, bicyclists or motorcyclists. “The main problem is the vulnerability of people traveling in smaller vehicles. Trucks often weigh 20-30 times as much as passenger cars and are taller with greater ground clearance, which can result in smaller vehicles underriding trucks in crashes,” explains the IIHS. Although underride accidents are relatively uncommon (at least as compared to the total number of motor vehicle accidents each year), a high percentage of them are fatal. Their relative rarity perhaps explains why the public isn’t familiar with terms like side underride accident and rear underride accident, and why the federal government hasn’t mandated side underride guards and much stronger rear underride guards, which would do a better job of protecting vulnerable road users like pedestrians and cyclists, as well as the occupants of cars. Never mind the fact that the trucking industry is largely opposed to further rear (and side) guard regulation, due to concerns about added cost and weight. But several entrepreneurs—not to mention truck manufacturers—have been working to develop new side and rear guards. One of these entrepreneurs is Aaron Kiefer, founder of Collision Safety Consulting, a North Carolina-based outfit whose TrailerGuard system reinforces the rear of a truck and also features a “SafetySkirt” that extends along the side of a tractor-trailer, one which can potentially prevent vulnerable road users and cars from going underneath a truck. In the following Failure Magazine Interview, Kiefer discusses the safety issues surrounding underride accidents and how the TrailerGuard system has the potential to protect side and rear underride crash victims from death and catastrophic injuries. What inspired you to start Collision Safety Consulting? I’m a forensic engineer and my background is in accident reconstruction. Collision Safety Consulting is a spinoff company from my forensic engineering work. What motivated me was seeing underride collisions, which are not well understood, not well reported and often deadly. I thought there could be a relatively straightforward solution to the problem. An underride is when a passenger vehicle or pedestrian or cyclist passes underneath the structure of a commercial vehicle. Often the frame of a tractor-trailer will be higher than that of a passenger vehicle and the body of the commercial vehicle intrudes into the passenger compartment. Requiring side underride guards in the U.S. is an idea that has been under consideration for a long time. Why do you think side guards haven’t been mandated? There are two reasons. The first is that the government is not going to mandate something that isn’t readily available. They don’t want to burden industry. And until recently no one has tested a side guard that can fit onto U.S. trucks and trailers. The second reason is that the industry loves the status quo. They don’t want any [more] regulation, which I can understand. It’s a bottom line industry. You have to move a lot of freight and you have to move it efficiently in order to turn a profit. 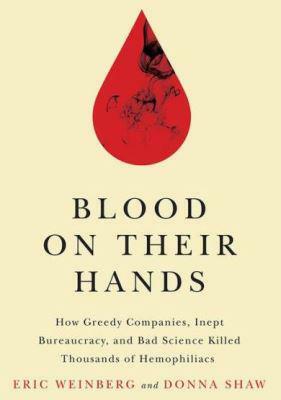 So the industry is resistant to change. The trailers that are in service today have the same design—by and large—as those from the 1950s or ’60s. How are safety requirements or regulations different in Europe? For many years, Europe has regulated—mandated—that side guards be installed on commercial vehicles, because the European Union recognized (back in the 1980s and ’90s) the hazard presented to cyclists and pedestrians. They have a mandatory guarding statute or directive, which is geared toward [reducing the risk] of a cyclist or pedestrian falling underneath a tractor-trailer. It does not directly protect against a vehicle striking a tractor or trailer because it’s a minimal standard. Tell me about Collision Safety Consulting’s TrailerGuard system. Looking at the problem from an engineering perspective, there are two areas of weakness on a trailer in a crash. The first is around the rear. 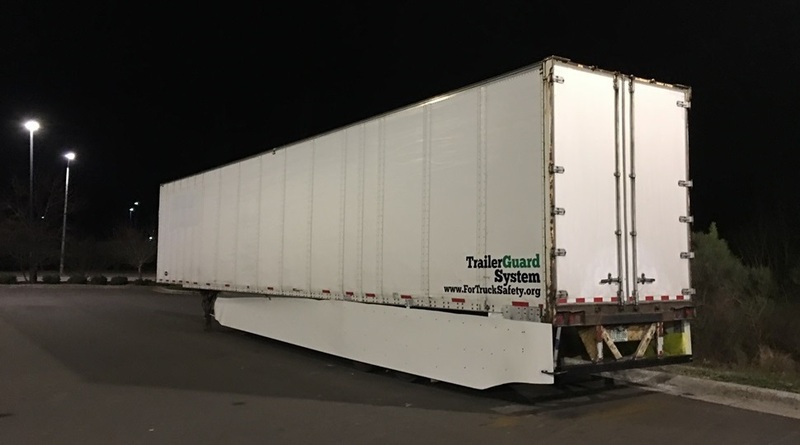 The guards that have been mandated for the rear of trailers—a lot of trucking companies call them loading dock bumpers—are underride guards. Those rear guards, which were mandated by the Federal Motor Vehicle Safety Standards No.’s 223 and 224 in 1996, are minimal. The safety standards specify the shape of the guard and some very low performance criteria, so the trailer industry has manufactured guards that exceed the minimum, which is great. But exceeding the minimum is not the same as preventing deaths and serious injuries. What has happened over the last twenty to thirty years is that passenger vehicles have gotten to the point where they are extremely good at protecting occupants. They have crush zones, air bags, load-limiting seat belts, etc. All of those features work to prevent injuries, but those can be circumvented by an underride, where the body of a commercial vehicle actually enters the passenger compartment. In addition to the weakness in the rear, the sides of trailers—which are usually forty-eight or fifty-three feet long—are usually unguarded. And because the bottom edge of a trailer is between forty-two and forty-five inches high, that is going to be about eye height for passengers of a motor vehicle. Without the ability to engage the structure of the passenger vehicle, that vehicle is going to go underneath—it’s going to underride—and there’s going to be direct contact with the passenger compartment. Not only is there direct contact with the passenger compartment, sometimes an underride accident will not deploy the air bags, because the sensors for the air bags are positioned down closer to the frame. So there are serious risks to the motoring public. And the TrailerGuard System is designed to address these problems? Yes, my system includes a rear reinforcement component which is made of aluminum and connects the rear corner of the trailer box with the outside corner of the existing underride guard. The reason I think this is a feasible product is that there is a lot of similarity in design; as I mentioned earlier, trailers have not varied much in the past thirty years, so the location of the corner—the location of the guard—is within four to six inches across any trailer. Connecting those two points with a strong and lightweight reinforcing structure gives the underride guard a greater probability of resisting an impact from the rear. Continuing that idea around the side of the trailer is technically much more difficult. There are many challenges to overcome but the TrailerGuard system paves the way for aerodynamic [improvements] and crash safety. It uses a tensioned textile material—a textile that is stretched from the landing gear area rearward, around the axles and back to that same corner we just talked about. So the TrailerGuard system is a rear reinforcement and what I’m calling a SafetySkirt. Skirts have become more and more popular, and in some states they are mandated. But the skirts you see on trucks today are for aerodynamic aid only. A lot of the public think those skirts are guarding the trailers and preventing a car from going underneath but they are not. They are just there for air flow. What have your tests of the TrailerGuard System revealed? I’ve done many side impact tests and they have revealed that even at low speeds—say, 20 mph—an occupant of a motor vehicle can suffer a fatal accident by striking the side of a an unguarded trailer. But even a lightweight textile material like mine can resist an impact of 20-30 mph and can potentially save lives. Can the TrailerGuard system be ordered yet? No, unfortunately not. I’m in need of capital to start production, so I’m in fund raising mode trying to find investors or win a grant to kick off the initial run of product. What do you think is the likelihood of the passage of new federal legislation—the Stop Underrides Act? That’s a great question. I know some of the families who are advocating for that bill and I think their work has already had an impact. For instance, the seven largest trailer manufacturers in the country have upgraded their rear guards. But I don’t know how to handicap the chances, as historically speaking there has not been much motion to stop underrides. Have there been any accidents that have contributed to the momentum behind the Stop Underrides Act? There have. The families that have been meeting with the senators behind this bill have lost family members in underride accidents. There are two families in particular—the Karth family and the Durso family—and I’ve been involved in a couple of cases where there has been loss of life from underride accidents. It’s a grassroots movement. One of the concerns of the trailer manufacturers is that underride guards will add weight and cost to trailers, but your technology is designed to get around that problem. Is that accurate? It is accurate. My side technology—the SafetySkirt—should be as aerodynamic (or more) than current skirts. The question in my mind from a technical perspective is: at what speed will this SafetySkirt function properly, because it’s not as robust as putting a large steel guard onto a trailer. But I just don’t see adding significant weight to a trailer as viable, given the position of the industry, which is that every pound on a trailer counts. 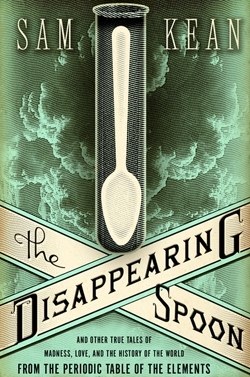 The Disappearing Spoon—A love letter to chemistry and the periodic table. 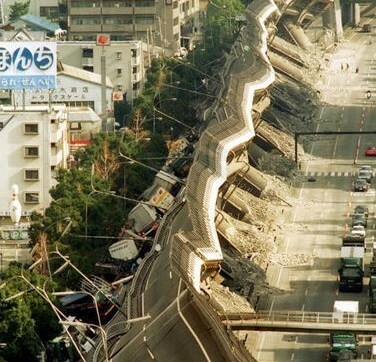 Fault-y Predictions—Scientists are still a long way from being able to predict when earthquakes will strike. 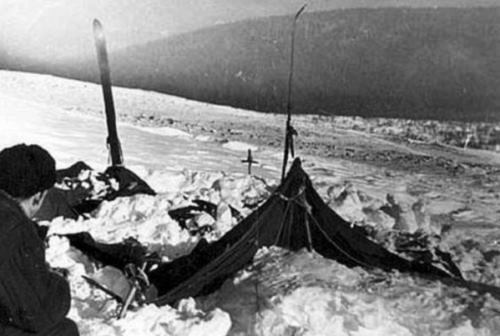 Return to Dead Mountain—Did panic-inducing infrasound lead to the deaths of nine Russian hikers at Dyatlov Pass?